Someone told me about that Website, and I thought it would be of interest. During WWII, German aircraft designers put forth many aircraft project ideas, which ranged from the practical to the bizarre. Some of these ideas were ahead of their time and reached a more advanced design stage, and even affect aircraft today. Within the pages of Luft ’46 you will find descriptions of these aircraft projects, illustrated with three-view drawings, model photos and custom color artwork…. This blog does so does Airforce.ca Website where I found this information about Jimmy. 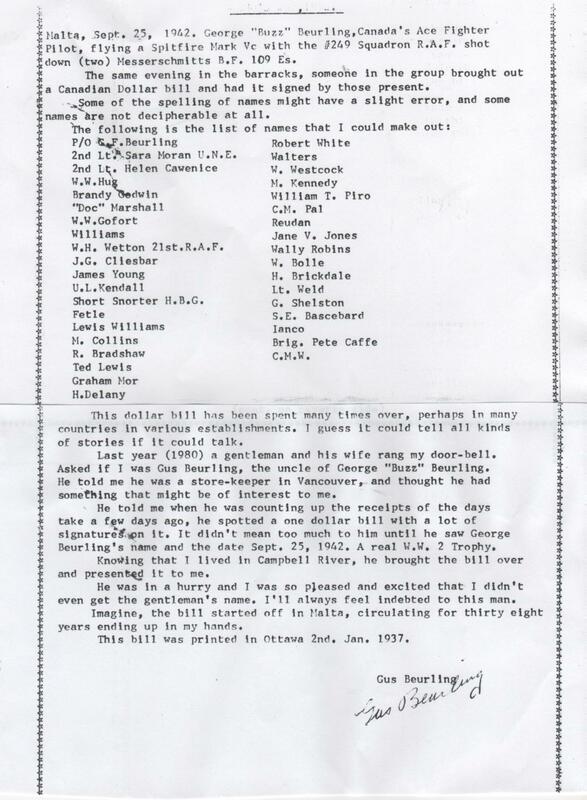 Wing Commander Godwin’s name is mentioned only once in the despatch. That’s how I found all about Jimmy Westaway. – Award effective 3 November 1944 as per Canada Gazette of that date and AFRO 2479/44 dated 17 November 1944. Born 16 August 1898 in Plymouth, Devonshore. British-born and a First World War veteran of both the infantry and Royal Flying Corps, being commissioned as Temporary Second Lieutenant, on Probation (General List), 7 June 1917. Graded as Flying Officer and confirmed in rank, 28 July 1917. Lieutenant in Royal Air Force, 1 April 1918. As Lieutenant, to Unemployed List, 29 April 1919. Granted short service commission as Flying Officer, 27 August 1920. In Middle East after the war; Flying Officer H.W. 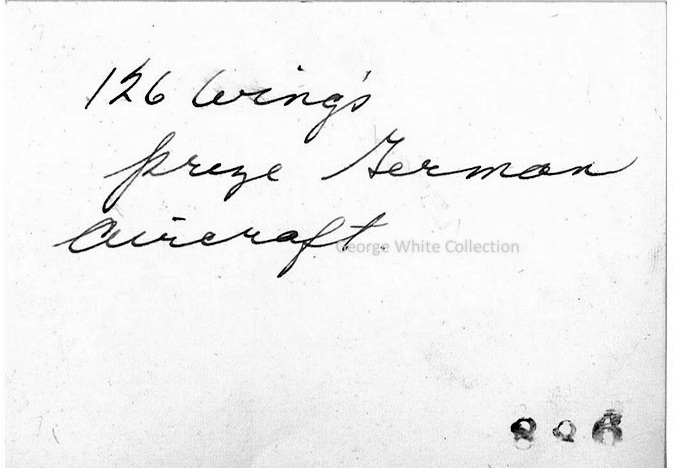 Westaway, RAF, to Home Depot, 21 October 1924 on transfer to Home Establishment. Placed in Class “A” Reserve, 27 August 1927. Transferred to Class “C” Reserve, 19 May 1928. 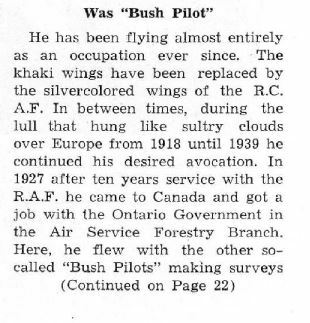 Migrated to Canada in 1929 and joined the Ontario Provincial Air Service. Home in Simcoe, Ontario; enlisted in RCAF at North Bay, 27 March 1942, immediately commissioned as Flying Officer and posted to No.1 Manning Depot, Toronto. To Conversion Training Squadron, Rockcliffe, 18 April 1942. To No.1 BGS, Jarvis, 15 September 1942 where he was in charge of the Gunnery Flight (so described by G/C A.D. Bell-Irving who recommended him for promotion to Acting Flight Lieutenant, 9 March 1943). To Eastern Air Command, 21 May 1943. 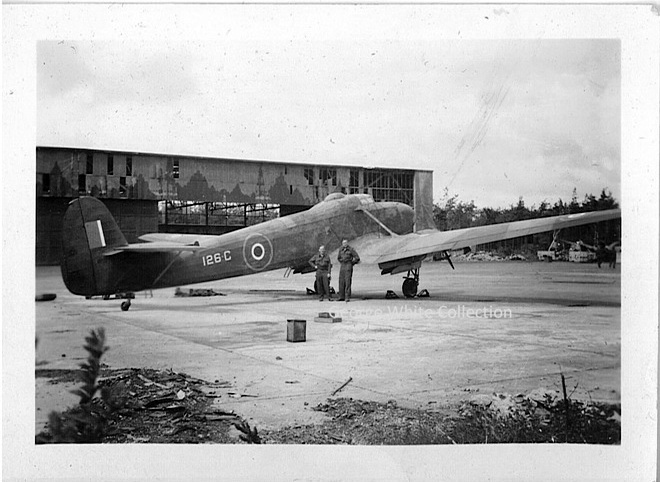 To Gander, Newfoundland, 13 June 1943. To No.9 Release Centre, 6 March 1945. Returned to Ontario Provincial Air Service. Killed in a crash, 25 May 1948. Westaway drowned; the others escaped. Credited with 16,000 hours flying. This officer has faithfully and capably discharged his duties as a service pilot over a long period of time. His outstanding ability in the operation of aircraft on skiis and floats, often in localities far from base and under hazardous conditions, has been most praiseworthy. Many of these flights have resulted in the saving of civilian lives by making hospital treatment possible for serious cases. His cheerful willingness and untiring devotion to duty, under difficult circumstances, have brought high respect for himself and the service in a foreign area. This officer has faithfully and capably discharged his duties as a service pilot over a period of many years, both in the RAF and the RCAF. His outstanding ability in the operation of aircraft on skiis and floats, often in localities far from base and under conditions of extreme hazard, has been most noteworthy and commendable. Many of these flights have definitely resulted in the saving of civilian lives, by making possible hospital treatment to cases of dangerous illness and for serious accidents. Flying Officer Westaway’s cheerful willingness to do his best, even under difficult circumstances, has made him a popular and a respected officer and has brought credit to the service in a foreign area. This was highly recommended by the Base Commander on 20 July 1944, and by A/V/M Morfee (Eastern Air Command) on 23 July 1944. However, at an uncertain date, Air Commodoe H.L. Campbell (AFHQ) turned it into a Mention in Despatches. WESTAWAY, F/O Horace William (C10734) – Air Force Cross – Station Gander – Award effective 1 December 1944 as per Canada Gazette of that date and AFRO 1/45 dated 5 January 1945. Award sent by registered mail 11 August 1945 when he was at Sault Ste.Marie. One day in September 1944, a Harvard aircraft crashed approximately twelve miles from a Royal Canadian Air Force station in Newfoundland, injuring the two occupants. This officer, a rescue pilot at the station, took off in quickly deteriorating weather, when all other rescue aircraft had been recalled. He discovered the crashed aircraft after all other air search had failed and landed the rescue party on a small lake. To enable ground crew parties to be briefed, he returned to base in face of the most hazardous weather. The following morning, with no improvement in weather conditions, he returned to the scene of the crash and flew the two injured men to the hospital. His outstanding courage and skill in this rescue operation were undoubtedly responsible for saving the lives of the two men. The determination and devotion to duty displayed by Flying Officer Westaway are most praiseworthy. On September 6th, 1944, at 1645 hours, Harvard NK2-3068 crashed approximately twelve miles from RCAF Station Gander, Newfoundland. The occupants, P/O Leonard and LAC Smithers, suffered severe injuries. Flying Officer Westaway, rescue pilot at this station, took off in weather which was deteriorating quickly, when all other rescue aircraft had been recalled. He discovered the crashed aircraft after all other air search had failed and landed the rescue party on a small lake. To enable ground crew parties to be briefed, he returned to base in the face of the most hazardous weather. The following morning, with no improvement in weather conditions, he returned to the scene of the crash and flew the two injured men to hospital. His skill and courage undoubtedly resulted in the saving of the lives of the two men. 6 September 1944 – Harvards 3068 and 2897 were doing local flying and at 1930Z P/O Wenz, J24391, pilot of Harvard No.3899 returned over the station and reported Harvard 3068, piloted by F/O E.J. Leonard (J36211) has crashed. Also in No.3068 was ground crewman LAC Smithers, G.L. (R206266). At 2110Z F/O H.W. Westaway (C10734), rescue pilot, in Norseman 789, sighted the crashed aircraft approximately 2 1/2 miles northeast of Botts Lake, and approximately four files north of Gander Lake. One man could be seen walking about. F/O Westaway landed on Miller’s Pond and a ground party proceeded to the scene of the crash. F/O Leonard had a sprained ankle and LAC Smither a wound on the upper leg. Both suffered from bruises and shock. The following morning F/O Westaway made one of his famous small area landings in adverse weather condition and brought the injured men and rescue party back to the Station. Both occupants of the crashed plane were admitted to hospital. The following appeared in The Gander (station newspaper), December 1944. The First World War material has not been substantiated. Jimmy (figure out if you can how that name comes from the initials H.W.) had more than one crack at the Hun in World War I. 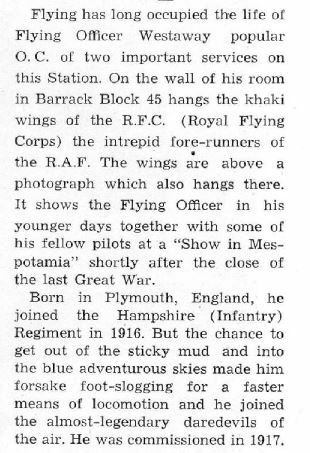 1916 found him in the muddy trenches of France, but his heart was with the RFC boys who flew overhead, The following year his dreams came true and he was in the perilous skies over France and Germany. His was an artillery spotting job. His final sortie in that war came near to being very final. His gunners got three Jerries before the ack-ack got him, and sent his plane spinning to the ground. In the explosion which followed Jimmy was hurled 40 feet. Someone in the infantry got the Military Medal for dragging him back to safety – out of range of enemy guns. In World War II, if we consider as enemies disease, accident and the gremlins that cause crashes, F/O Westaway is still facing the enemy. And there’s certainly no question about his exceptional valour and devotion to duty while doing it, either. Ten years of flying with the RAF in India and Mesopotamia in skirmishes with frontier tribes, and another decade with the Ontario Provincial Air Service, penetrating the wilds of the northern part of the province, have given Jimmy ample preparation for the task he has carried on so well in Newfoundland. He’s Officer Commanding of the Mercy Flight Division on RCAF Station Gander. That division, incidentally, is a small but mighty one. It consists of one Norseman plane and one pilot, none other than the OC himself. Every pilot on the station will tell you that Jimmy hasn’t an equal and everyone has a warm spot in his heart for this jolly, broad-shouldered man with such a merry twinkle .in his eyes – the fellow who can take off and land in weather when even the pigeons are walking. The list of mercy flights resulting in saving of life is indeed a long one. There’s scarcely a bay along the rugged North and East coast of this island on which his Norseman hasn’t landed. The plane is equipped with two stretchers, and accommodates a doctor and a nurse. F/O Westaway is his own crew. “No matter what the weather is when he takes off – or how long he’s gone, we never worry. We know that Jimmy will return safe and sound”, say the Commanding Officer. A hospital assistant who was fortunate enough to go along on one of the mercy flights tells how all the inhabitants of the little village turned out to meet them. After a brief pause for a cup of tea and a sample of warm Newfoundland hospitality, they made a speedy return to the hospital with a cancer-afflicted patient. “The people all over that part of the island just about worship F/O Westaway. Though the little villages all along the coast look the same to us, Jimmy knows just where to land. Our own admiration of him was enthusiastic”. Sometimes a boat voyage or ride behind dog-teams is required in order to supplement the plane ride. The length of their stop-over depend on how many of the “sick and maimed” from the surrounding countryside are brought to the doctor when he is summoned for one particular patient. There have been closely competed races with the Stork more than once. So far the Norseman has been the winner. The particular feat that won the Air Force Cross for our hero was the rescue of two men who had crashed in a Harvard last September. Weather was closing in and the aircraft sent to the vicinity of the crash failed to spot the two victims. Seventeen minutes after his takeoff from Gander Lake, Jimmy had sighted them. He landed on a rocky lake, left the M.O. [Medical Officer] and two other men on the shore with First Aid and sleeping bags and took off again. Weather conditions were considerably worse by this time. Nearing Gander, F/O Westaway called the tower for landing instructions. “Hell, I’m no b—- angel. I’m going to land”. The next day, clouds were hanging on the tree tops. Nothing could fly – Nothing but the Norseman. Jimmy went back to the little lake, picked up the injured men and rescue party – returned to base using a sixth sense he evidently possesses. It is doubtful if the two men would have survived if they had not been found when they were. Forced landings on the desert, rescue work in Ontario would make a long, long story. In 1929 when Jimmy was operating from Oba Lake, Ontario a certain Vedette landed, and its pilot and mechanic cut up a gas drum belonging to Jimmy. He has been offered numerous other gas drums to replace it, but still maintains that the pilot owes him $ 8.00. It was the CO who told this story – I’d be disobeying orders if the name of the Vedette pilot was revealed – but maybe you’re good at guessing. Jimmy once lived near a golf course – which was a very expensive site – because on warm days his friends used to come in after a round of golf and drink up all his beer. F/O Westaway’s wife, son and daughter are living in Simcoe, Ontario. His son is air-minded too – is an enthusiastic Air Cadet. “If I have enough money left for a ticket to South America, I’d like to go there after the war,” says Jimmy. So if in postwar years we hear of someone untangling jungle vines from the propellers and taking off using an alligator as a runway or landing safely on 100 square feet on a peak in the Andes, we’ll be ready to wager 50 to 1 that was Jimmy Westaway. On enlistment he was recommended by George Ponsford (OPAS), his lawyer H.S. Hamilton (“Westaway has been a pilot with the Provincial Air Serviice for years and has proven himself a man of resource and ability and is well thought of in this community.”) Also recommended by Dr. A.R. Stevenson and Frank MacDougall (OPAS). 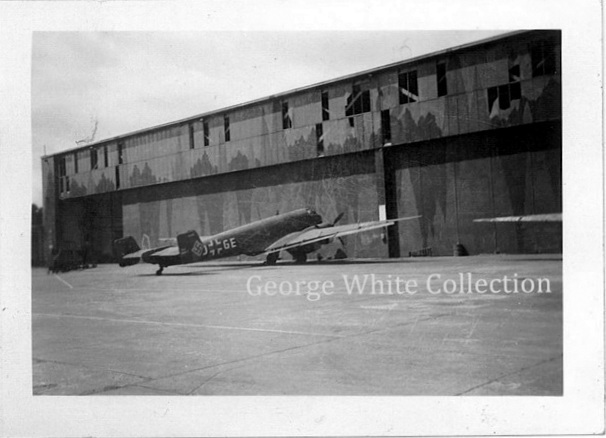 Course Report from Conversion Training Squadron stated he had flown 20 hours dual and 3,838 hours solo on civil single-engine aircraft; with the RAF he had flown 100 hours dual and 1,500 hours solo (900 on operations). His course at Rockcliffe was 19 April to 21 August 1942 during which time he had flown Battles (35 minutes dual, two hours solo), Harvard (50.10 day dual, 30.25 day solo, 3.00 night dual, 2.15 night solo), Oxford (10.30 day dual, 7.25 day solo) and Anson (6.55 day dual). Of this time he had flown 23.20 on instruments and logged 21.45 in Link. Ground courses in Airmanship (74 %), Airframes (50 %), Engines (90 %), Navigation (51 %), Armament (60 %), Meteorology (50 %), Wireless (80 %). Placed 15th in a class of 18. The Chief Ground Instructor wrote, “Older type of student, very slow to learn. Conduct and attitude excellent.” However, he was classed as “Above average” in all flying skills. “This officer is very safe and reliable with very good air sense but his instrument flying should be watched.” (CFI, 21 August 1942); “This officer should be capable of holding any type of staff pilot job. His conduct on and off the station has been very good.” (S/L D.I. Mackkin, 21 August 1942). “The above named officer served under my command for a considerable period in India. I found him a steady, reliable pilot and a trustworthy and hard working officer. In my opinion he can be safely employed in any suitable capacity, and will prove of read value to those so employing him.” (G/C R.M. Pine, Air Defence Great Britain, 15 July 1927). On 19 January 1942, OPAS Headquarters certified that he had flown 3,773 hours ten minutes in that service, his last flight being on 9 October 1941. On 1 November 1945 he wrote to AFHQ inquiring about rejoining the RCAF. He had been looking for something new in flying; did not wish to go back to OPAS work. In April 1991, John Westaway (172-1045 Morrison Drive, Ottawa) was asking about him. 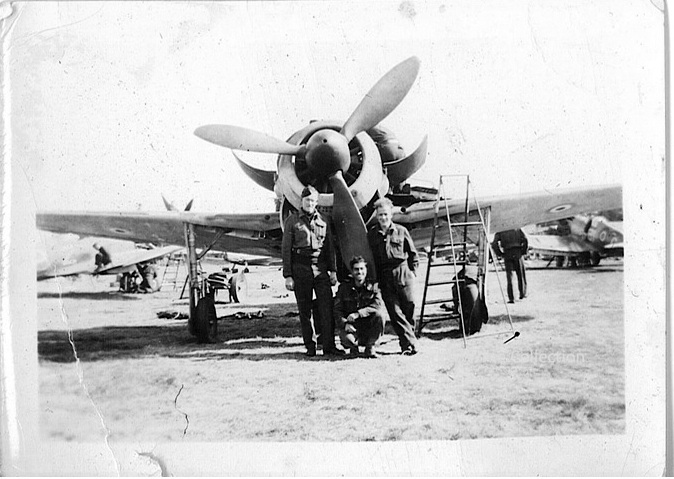 The first one is simply captioned “126 Wings Prize German Aircraft” and 2 men from his crew are in the foreground. The prize is a Focke-Wulf Fw 58 Weih or “Harrier”. The Fw 58 was widely used for training Luftwaffe personnel. It was also used as VIP transport, ambulance, feeder airliner, photo reconnaissance, and weather research aircraft. It was built under license in Bulgaria and Brazil. It was also operated by several countries such as the Netherlands, Hungary, Romania, Croatia and Turkey. That’s an interesting camo scheme on the wrecked hangar. I have posted one picture of 403 Squadrons Erks working on a captured FW 190 and now I’m posting another. 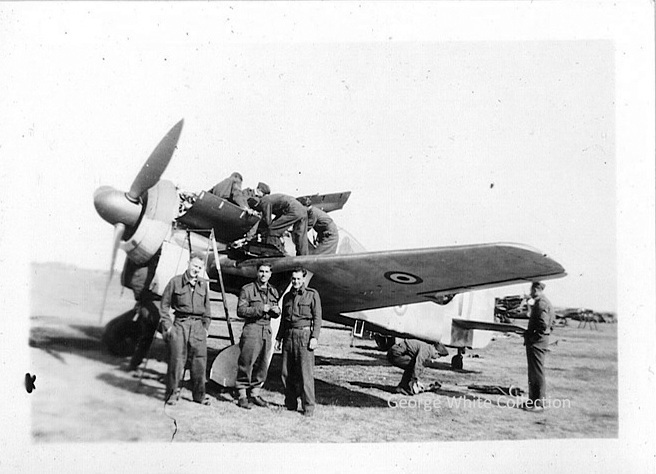 This is likely the Fw 190 F8 that was captured at an assembly line at Travemunde, Germany. The RAF flew her from a base in Reinsehlen, Germany in May 1945. Markings and camo scheme seem correct…but there was no werk number known to exist for positive identification. A good eye might be able to identify some of the Spitfires in the background. I am still trying to find out how and why Walter Jonathan Wetton’s name appeared on the dollar bill. I believe the signature is W. J. Wetton and not W. H. Wetton as transcribed in the letter. If we have the same Walter Jonathan Wetton who was with 21 Squadron RAF, then he signed it before his death that occured on April 6th, 1940. 6th April 1940 21 Sqn Blenhiem IV L8740 YH- Take Off 0400 from Watton, while setting out on an anti submarine patrol. The aircraft crashed into trees at 0405 Close to Merton Hall. Sgt 580533 Walter Jonathan Wetton, age 20, Heckington Cemetery Lincolnshire. I found this other source which is more complete than the last one I posted about Wing Commander Godwin. We can ascertain where and when H.B. 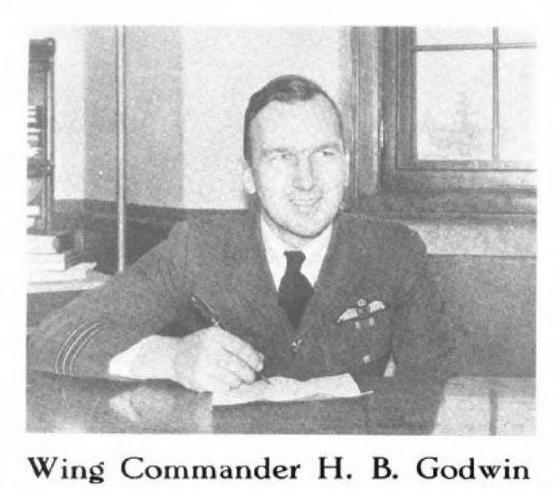 Godwin was posted during WWII. See Canadian Who’s Who, 1968. Born in Westmount, Quebec, 24 April 1907. Educated around Montreal, B.Sc. from McGill (Electrical Engineering) in 1928; appointed to commission 16 July 1928 and won wings 18 March 1929. To No.3 Wireless School, 23 March 1941. Promoted Wing Commander, 1 May 1941. To AFHQ, 14 August 1942. Promoted Group Captain, 1 November 1943. To Newfoundland, 4 April 1944. To “Y” Depot, Lachine, 1 April 1945. To United Kingdom, 4 April 1945 to command No.64 Base and subsequentl as Deputy AOC, RCAF Overseas Headquarters. Promoted Air Commodore, 25 April 1945. Promoted Air Vice-Marshal, 1 January 1952. It’s obvious that H.B. Godwin was not in England in the early 1940s and that he probably got the short snorter from someone else who was the one who probably met Sergeant Walter Jonathan Wetton before his death on April 6, 1940. Godwin was with AFHQ from 14 August 1942 to 4 April 1944 when he was posted to Newfoundland. This being said, I have found something that merits your attention. 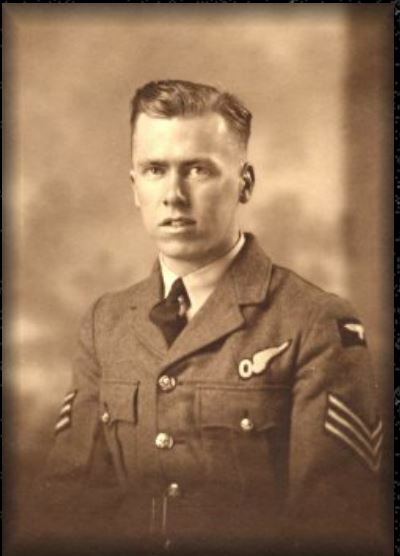 It’s about a pilot, Horace William Westaway, who was in Newfoundland at the same time period as Wing Commander Godwin. His name is not on the dollar bill and he is almost unknown on the Internet. Try Googling Horace William Westaway before I tell you all about him. Well almost… and I am even not sure of mine the more I look at who signed that short snorter. I’m convinced that the dollar bill was signed by Beurling however, after all the research I’ve done on this item I’m also convinced that the dollar bill was not started in Malta and Beurling never signed it while flying out of Malta. I believe that the dollar bill may have originated in Canada after all what is the likelihood of a Canadian having a one dollar bill in Malta. 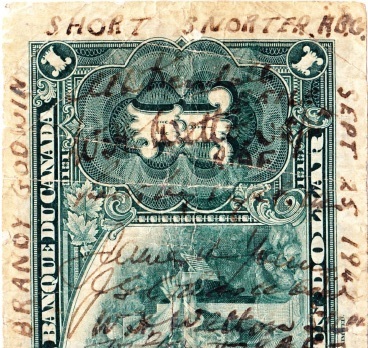 What if Brandy Godwin or any of the other signators started the short snorter on September 25 1942 after or before one of the many long flights they would have experienced during military service in Canada. It does appear the printing on the top right, side and lower right were done by Godwin and let’s assume Godwin kept the bill as a souvenir in his wallet as many flyers of that period did. 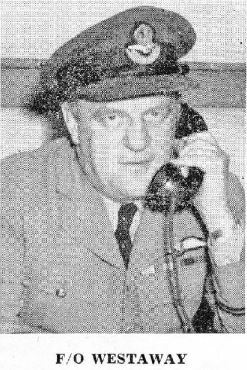 P/O G.F. Beurling had gained rock star status both in Canada and Europe, he returned to Canada early in November 1942 to mend after his war wounds and surviving 5 crashes. He passed through Gander Newfoundland then on to Montreal and reunited with his family, then on to Ottawa through Rockcliff airport. Beurling was sent across Canada on public speaking events, to help recruit and to sell warbonds. People lined out to get his autograph and he was very much in demand and RCAF brass wanted to be seen and photographed with him. I believe that Brandy Godwin may have produced his short snorter at one of these events and had Beurling sign it. The date September 25, 1942 was just a coincidence and was not the day Beurling signed the dollar bill. We will never know for certain the real story behind the dollar bill – that I’m convinced of. After comparing the signatures on the bill and what I’ve seen on-line and after many people here in Nanaimo have studied it, the conclusion is, it’s Beurling signature. The letter that accompanied the dollar bill is typed not created on a computer and the paper shows signs of age and fading. Time may provide other answers and we hope they do but for now, I think the mystery is partially solved, Pilot Officer George “Buzz” Beurling, one of Canada’s most famous fighter pilots signed this Canadian Dollar bill and we are proud to have it in our museum. Although I agree with Pat’s theory, I believe that the Short Snorter was started before 25 September, 1942. W.H. Wetton who had signed that dollar bill could not be there on September 25th, 1942 in Malta. With airfields at near by Watton and Bodney, the area had its share of incidents of aircraft crashes, some of the listings at Merton below. I have made my own investigations around our local area with the help of crash reports from the RAF museum and from sources in America. Equipped with original details / reports, photos etc I have managed to match these to the present day. I have also managed to record various places in the area which include Merton, Thompson, Stow Bedon, Scoulton, Saham Toney and Watton. Take Off 0400 from Watton, while setting out on an anti submarine patrol. The aircraft crashed into trees at 0405 Close to Merton Hall. Sgt 580533 Walter Jonathan Wetton, age 20, Heckington Cemetery Lincolnshire..